Find out how you can connect Yoga Philosophy to your Asana practice. Yoga is not just about physical postures (Asana). The Five Yamas are an ethical code from Patanjali’s 8 Limbs of Yoga. As with much of yoga philosophy, their meanings are multi-layered and they can be interpreted in many ways. Here is a brief introduction to the 5 Yamas and their various meanings. Why apply the Yamas to our Asana practice? So how do these philosophical concepts apply to a physical asana practice? Today, there is a lot of focus on the physical side of Yoga (Asana) but this is only one aspect of the practice. By applying the Yama’s to our asana practice, we deepen our understanding of yoga and our own bodies and minds, this, in turn, will flow into our daily lives, bringing Yoga off the mat. How can we weave the Yama’s into our Asana Practice? – 1. Ahimsa: Non Violence. Ahimsa can also be expressed as kindness, the opposite in some ways to violence. When we practice asana, we can practice Ahimsa by listening in deeply to our bodies and taking variations that suit our bodies in that moment. Sometimes, in physical practice, we push ourselves beyond our limits and feel the need to go into what we think is the fullest expression of the posture, but if this is too much for your body in that moment, this is a form of violence for the body. By practicing Ahimsa, you are being kind and loving and honouring your body in the moment. Satya is not just about being honest with others, but also being honest with yourself and it is this sense of being true to yourself that you can bring into your asana practice. I encourage students towards an initiative practice and to really listen in to their own unique bodies. By taking the time to listen in, we can deeply tune into what our own truth is, in that moment and begin move physically from that point. We can also approach asana practice as if we are coming to the mat for the first time, every time. Listen to your body, resist moving in a habitual way and tune into what is happening in the body in that moment. This allows you to find something different every time. You are different every day, depending on how you have slept, your emotional life and general energy levels. By honouring this in your asana practice, you are honouring Satya, your own deep initiative truth. Asteya refers to non-stealing and is discussed by Patanjali on many levels. The act of physically stealing possessions from others and also stealing time in various ways, such as asking for help you don’t really need or not being punctual. Patanjali speaks of stealing as the manifestation of feelings of lack or distrust in the universe and a belief that there is not enough to go around for everyone. When we talk about Asteya in asana practice, it can be expressed as being generous with your energy as you move through the physical practice. Allow yourself to feel energetically abundant and be fully present in each moment, knowing that you have enough energy to carry you through the practice and that more energy can be cultivated through breath, moments of awareness and rest. Brahmacharya is about moderation and specifically refers to conserving your life force and a knowledge that your life force is precious. It is to be mindful of your life force and not to waste your energy on pursuits that do not serve you. It is a reminder to use your energy in a mindful way. Honouring Brahmacharya on your mat can be expressed by using your core muscles and moving from your centre first. Engaging the powerhouse of core muscles in your body is a way to conserve energy as it enables the limbs to have more fluidity and freedom of movement. Allowing breath to move you is another way of bringing in Brahmacharya, moving with the breath is a natural way to support movement and find ease in our bodies. Along with Ahimsa, this is one of the more well know Yama’s, Aparigraha, the practice of non-attachment or letting go. It can also be translated as non-greed, non-possessiveness and not coveting what someone else has. Aparigraha Is also one of the main teachings of the Bhagavad Gita, Krishna said “let your concern be with action alone, and never with the fruits of action. Do not let the results of action be your motive, and do not be attached to inaction”. By bringing Aparigraha into your asana practice you can release any attachment to outcomes of your practice and focus on being in the moment. Encourage any attachment to what an asana may look like from the outside and bring your focus into the feelings in your body. Release any attachment to the potential benefits of practising and come fully into the now and attempt to focus on the action itself, alone. Aparigraha is also be about letting go, it can be used as a theme for your yoga practice if you like to bring in an intention to focus on. If you are going through a difficult period or moving into a new phase in your life, focusing on Aparigraha can be a beautiful way to release anything that no longer serves you. Now you have the an over view of the Yama’s, it’s lovely to begin to include them in your practice in a gentle way. Maybe pick the one that resonates most with you and work with it for the next week, whenever you come to the mat and notice how it begins to flow into your daily life. 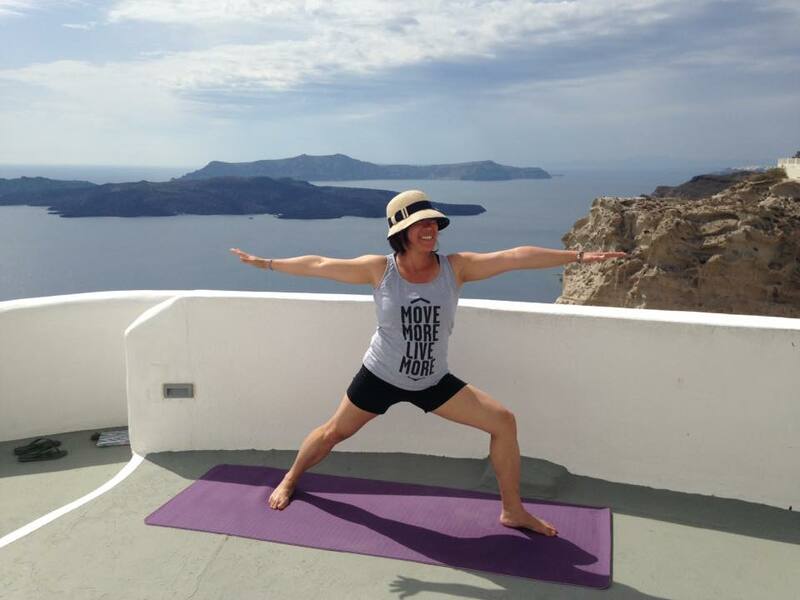 Danielle began her yoga journey at the Sivananda Yoga centre in India in 2006 and has practiced many styles of Yoga including Ashtanga, Dru and Hatha yoga. She completed her training at the Dru Yoga centre in beautiful Snowdonia. Danielle trained as a contemporary dancer where she studied Dance Movement Therapy and through movement work became fascinated in the way that emotions are stored in the body. Danielle teaches Hatha flow with a strong focus on alignment and finding a sense of ease in our own unique bodies.